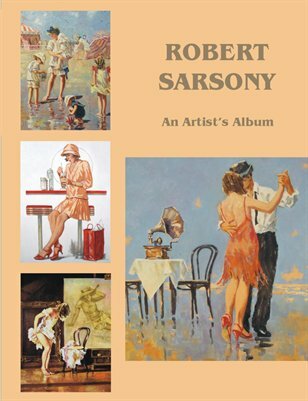 A soft-cover edition of over ninety paintings by artist Robert Sarsony reproduced in color. This Artist's Album includes many of Sarsony's subjects and series with the artist's comments on the paintings and directions. Among the various subjects are traditional figures, artist's models, ballerinas, women and children at the beach, deco and pin-up, still life and more. A colorful collection of work spanning over forty years.